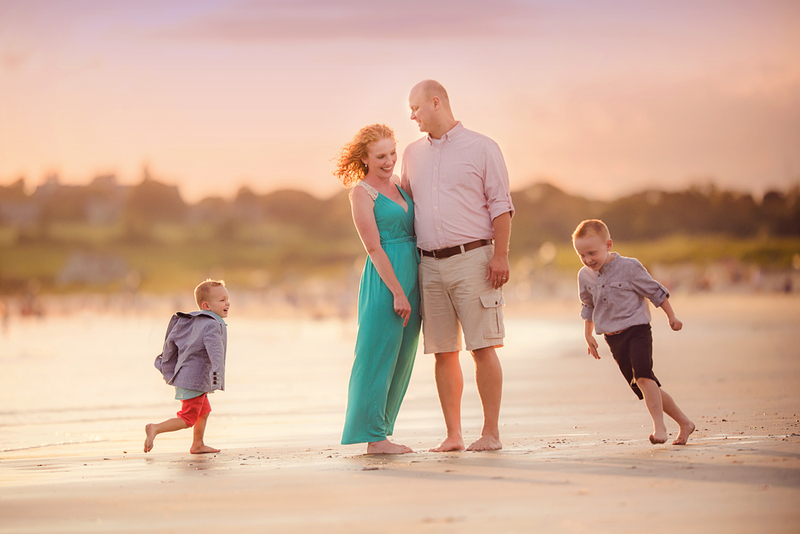 This gorgeous family beach session took place in Newport, Rhode Island at sunset. I have been photographing this family yearly since 2012. In fact, the littlest guy was the very first baby in my studio when I opened. Since I have had the opportunity to really get to know this family, I know they are playful and take direction really well. In styling this session, mom and I worked together on color scheme. I often tell moms to plan their outfit first, and then style everyone else to complement. As the general protagonist, I want mom to feel good in what she is wearing; I want her to shine. Family photos are generally booked in an effort to capture and highlight the children. And yet, I think it’s important to capture the essence of the family, their interaction, bond, spirit. I find that if mom feels good and is comfortable, dad and children follow suit. So that is almost always where I start, making sure mom is happy with her clothing choice. I suggested an aqua color to contrast pop mom’s gorgeous hair and mom found the dress from Modcloth. From there, we coordinated the boys’ outfits from Zara, H&M and Boden. 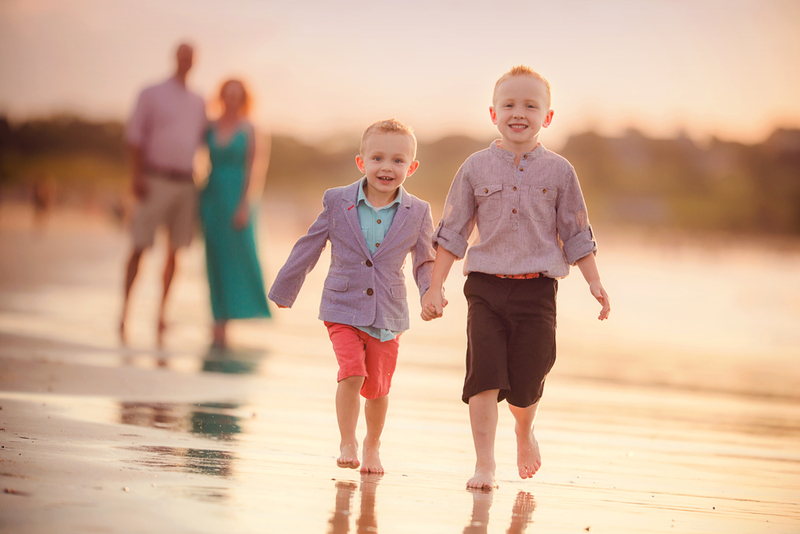 Mom wanted to dress the boys up a bit, but still keep them playful and comfy for the beach. 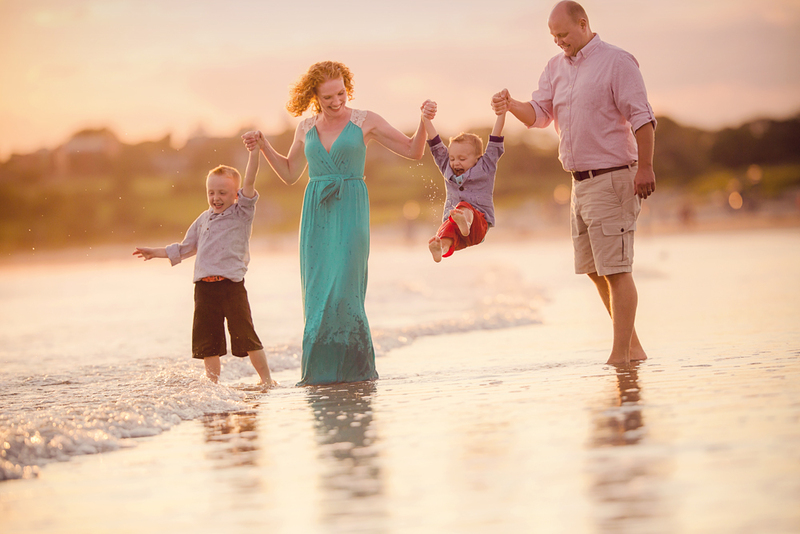 Family photography is all about planning, play, and possibility. 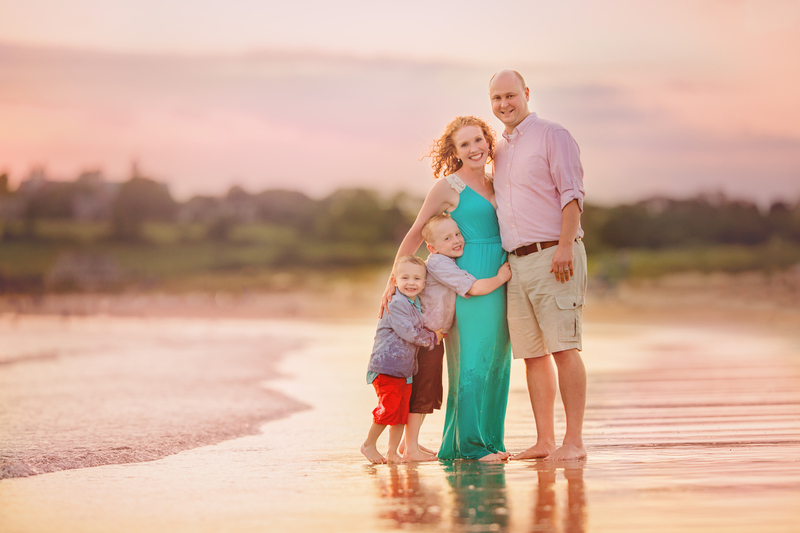 I often hear photographers say they just want to be bystanders and capture families naturally. But the families I work with want guidance and direction. I issue prompts, game requests, and pose direction throughout the session. Generally speaking, there is nothing exactly “natural” about bringing a family to the beach and getting them into the water fully clothed in their adorable new outfits, and yet, capturing natural expressions and responses to this type of direction is what creates such interesting and beautifully elicited images. I work with families to style a session in anticipation of what will happen, and then freely explore new possibilities as the session unfolds. When shooting at the beach, anything can happen. We have a small window of beach opportunity in New England, so when the weather is nice, the beach is packed, which presents the problem of unsuspecting beach-goers making their way into photos. I try to find pockets on the edge of the beach that are less populated. As for the environmental factors, I prepare my clients in advance regarding elements of sand and water. I make sure my clients are aware that they will likely get wet, since inviting children to the beach and asking them to stay dry would be like bringing them to an ice cream parlor and expecting them to eat broccoli. 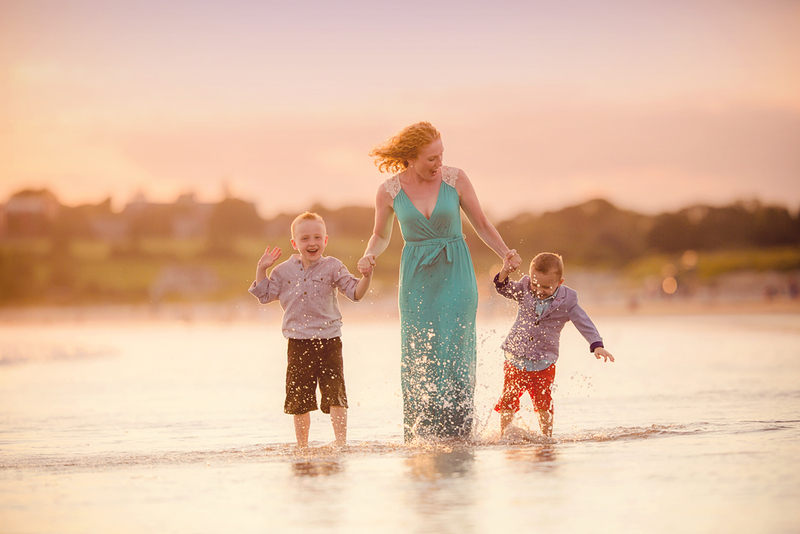 The success of family beach session is dependent on setting expectations. I make sure parents understand that we are going to have fun and that the session will likely not go perfectly. There will be sand and water. The children will be running around. 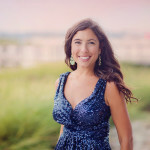 In light of all this, we will embrace the joy that is the beach – the watery, sandy, hot beach in the summer, the expansive palette of earth that is the essence of beauty, and for me, is the most gorgeous photography backdrop. I tell parents to bring a change of comfy clothes for everyone for home, baby powder (to absorb and remove sand), and wipes for cleanup. 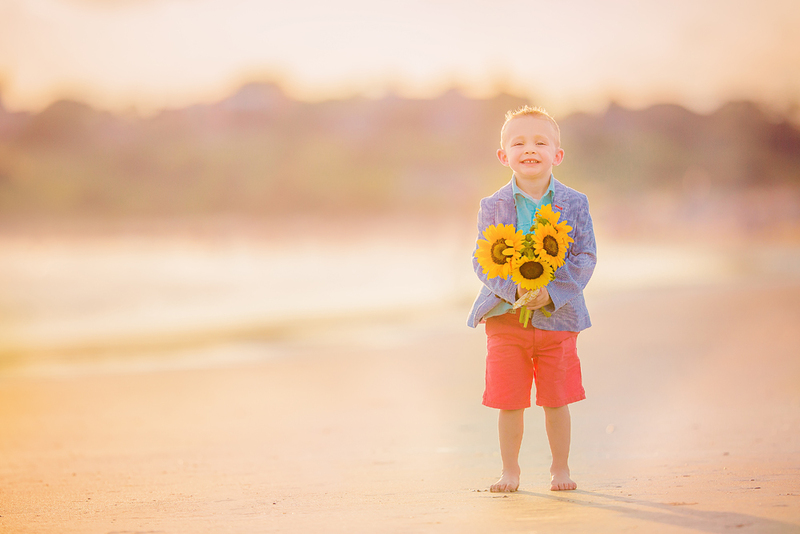 Upon arriving at the session, little man brought me sunflowers in congratulations of my recent engagement. They were gorgeous; I captured that moment, which was completely unplanned, but which turned out to be beautifully styled in the juxtaposition of the color planning and setting. 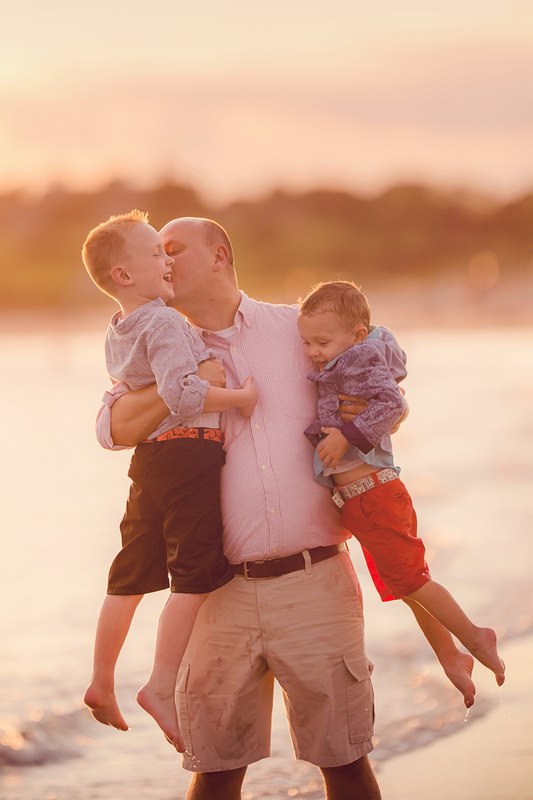 Tracy Sweeney, owner of Elan Studio, is an international award-winning child and family photographer who loves capturing simple, candid moments, the indelible beauty of new beginnings and life. See her website here.